911 Restoration Portland gives homeowners in Clackamas a fresh start with our water damage repair and restoration services. 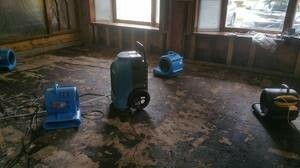 Our team understands this and our water damage Clackamas technicians are prepared to provide assistance. 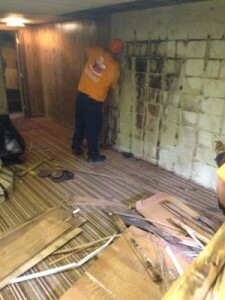 With the menagerie of problems that water intrusion can cause, it’s best that you rely on 911 Restoration Portland to give your home a fresh start with quality water damage repairs and restoration. No matter what kind of water-related damage may occur, even if its sewage water damage, you can rest assured that 911 Restoration Portland can provide you with our affordable services. Prepare for winter – Once the winter months come, you can prevent damage by turning off the water main when going out of town for extended periods of time. This will eliminate any chance for pipes to burst. Make sure that gutters and downspouts are clear – Keeping the gutters and downspouts clear makes sure that there is proper water flow away from your home. This will prevent water from pooling near the foundation. While water damage can strike unexpectedly, 911 Restoration Portland can respond within 45 minutes and is available 24/7/365 to make sure water damage due to flooding, roof leaks, or pipe bursts are resolved as soon as possible to get your home back in shape. With over 35 years of experience in dealing with water damage, our technicians have the know-how to solve all manner of water-related damage. Whenever you’re in need of expert and timely disaster restoration services, 911 Restoration Portland will be ready for your call. With our 24/7 call centers you can reach us anytime, any day. Furthermore, once we get on site, we can provide you with a free estimate and thorough inspection of the concerned areas of your home. With its location in the West Coast, Clackamas has its fair share of varying weather conditions such as heavy rainfall and snow which can make your home susceptible to water damage. When a water disaster strikes out of nowhere, call our water damage Clackamas team with 911 Restoration Portland for the best services in the industry today!